Up to 75-125 Pictures viewable & purchasable online. 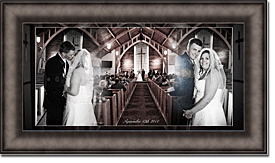 Any photos purchased will be automatically enhanced, corrected, and edited for best picture quality. Or you can choose the top 20 of your favorite photos to be done within the first 7 days from the shoot. We are able to take studio equipment on location to your school, home, or other location to get the shots you want! Montage Designed and Printed for Announcements of several photos with name and year. PLUS $50.00 Coupon Code to order any item(s) you wish when you order online. Please make sure to order your photos in time for the yearbook. We are not resposible to get your photo printed last minute. Please get the details of when your yearbook photo needs to be given to the school, and make sure to give your order 5-7 days to arrive. Choose your own background from ANY stock photo, that can be used as a digital slide to project your background for your photo shoot. $40 additional each. Book is designed using photographers choice of photos, and then reviewed for a set of revisions by the senior. Up to 1 hour in revision editing but must be submitted at one time. Book is designed within 2 weeks of the photoshoot, and you have 1 week to submit revisions. This enables us to get your book shipped of to you in a timely matter. Senior Announcements should be designed within the month of the photoshoot. They MUST be completed before April of the following year or there is a $25 rush fee added and additional shipping costs..
CD/Images: After a print order (please inquire photographer for order total details) you are able to have the photographers choice copyrighted photos free of charge for displaying on facebook, or you can purchase the entire photoshoot and download them copyright free to have printed at the printer of your choice or download to your computer and save to disk.